Easily locates the vinyl end cap manufacturer and suppliers with rhicap.com. RHI custom various vinyl dip products. If you have any need, welcome to send us size or drawing. Contact us for more details. 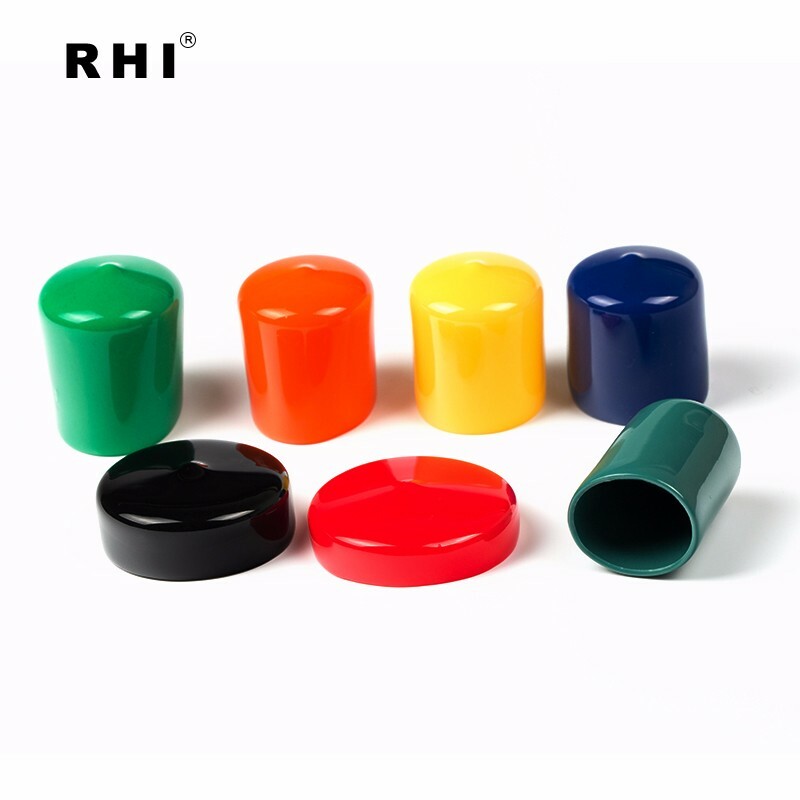 PVC end caps are mostly used in the industries such as chemical, industrial and water treatment. We are offering end caps for various fitting. These products are manufactured by trained and experienced professionals in the industry. Our end cap manufacturer is using ultimate quality of material and latest technology tools. They have created end caps in different shapes and sizes. Professionals undergo tests by using quality of parameters to generate durability. We are manufacturing and supplying the wide range of products to a consumer. It is helpful to keep pipes to be safe. Based on your needs we are creating end caps. Buyers find wide collections of products from our manufacturers. We help you to keep anything on the pipelines. Our manufacturers are making products with excellent quality. End caps are the best choice for people who constructing the new home or renovating existing house with the latest material. It allows you to fit easily and closure in the industry. With our flexible molding process, all products are manufactured with complete materials. A manufacturer uses good finishing caps. All our products offer excellent performance to the consumers. Still, we are offering reliable and flexible products to vendors in the market. With the simple process, you might book end caps from our online portal. You find durability in installing end cape to your home. Our products give low maintenance, high output and best performance to you. It enables you to fit on any kind of environment. Moreover, our products are created with a modern tool, equipment, and machinery. We have more potential clients in delivering a product. We are ready to serve effective products at cheaper price. It also helps to increase the lifespan of your home. You pick end caps based on the surface of your home. We offer satisfied and guarantee products to our clients. Many home owners get satisfied service on buying products. We enable to offer the diverse range of products at reasonable price. You might order products via online and enjoy with special deals. Vinyl end caps also named pvc caps can be applied quickly and easily on steel rebar,rope, tube, pipe, cable etc. No matter what the application, they fit tightly without cracking or splitting. Our round vinyl caps also guarantee excellent insulation qualities and resist weather, moisture and chemicals.